I cringe when I hear of yet another friend on yet another gimmick diet. I want to scream when I see commercials on TV like the one where they exclaim, "eat whatever you want, just shake this stuff on your food!" Ridiculous. Losing weight is a matter of science. About 3,500 calories = one pound. So if you want to lose one pound per week, make sure you consume 3,500 calories less over one week than you normally would to maintain your weight. That comes to about 500 fewer calories per day. Calorie tracker/diaries are very helpful for holding you accountable for what you put in your body. The best ones out there have extensive lists of store-bought items and restaurant entrees, plus often a bar code scanner so you can scan right off the package. Get a food scale. You cannot accurately track calories if you are guessing on your quantities. A simple food scale can help you to correctly input how many calories you consume. How else would you know if you have three or six ounces of chicken on your plate? A measuring cup is important as well. Drinks can sabotage your efforts. Those regular sodas? Definitely NOT worth 150+ calories. 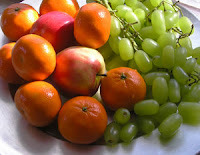 Switch to diet, or better yet, water with some fresh fruit flavoring. Alcohol? Wine? Beer? Save those for "cheat day". Cheat day is not only exciting, it is recommended. When your body is functioning on fewer calories, it can hurt your metabolism over time. A weekly cheat day allows you to give your body that jolt of energy, and it keeps you from giving up on calorie counting altogether. Just the anticipation of an upcoming cheat day has saved me on many occasions! Look up restaurant nutritional info. Do you think you are "being good" by ordering the restaurant salad? Think again. Most restaurant salads are extremely high-calorie, from the cheese to the croutons to the bacon to the dressing. Usually I note over 1,000 calories in ONE salad! Not always the best option, because these take up too much of your caloric value for the day and may leave you hungry later. Stick with lean proteins, low carbs, and fresh fruits or veggies. A meal of a small grilled sirloin, green vegetable, and side salad (with a tiny amount of low-cal dressing) has 40-50% fewer calories vs. one giant restaurant salad. And as any good southerner would say, it really sticks to your bones. Step away from the bread basket. Bread is quite yummy and perfect for munching while waiting for a meal, but at 100+ calories per roll or bread stick? Not worth it. Save it for cheat day! Eating at home is always best, but planning ahead can make restaurant outings much less frightening. Planning out meals ahead of time ensure no surprises once your belly is full. Small meals and healthy snacks get you through the day. I find that a few strawberries or a couple pretzels with peanut butter help to tide me over, so I rarely have to battle that starving feeling. To keep up with your daily caloric allowance, eat smaller meals and build in snack times so you are never hungry and having to wait. You can eat what you want, as long as you make adjustments to reach your total. Calorie tracking enabled me to understand this better - if I really want to eat a cupcake, I eat a cupcake. But it gets logged in my calorie counter, and I know I must make an effort to cut somewhere else in my day. Or I must exercise. Exercise = more food! When you burn calories exercising, you are able to add those back to your total food allowance. If you have a 1,200 per day limit but burn 200 calories exercising, you can actually consume 1,400 calories. A pedometer or a gadget such as FitBit can be a perfect compliment to a calorie tracking program. For the first month, I stuck to 1,200 calories. I ended up losing about 1.5 pounds each week. I have since increased my daily caloric intake, as my total goal was not super high to begin with. I do not need to lose any more so quickly. I am officially TEN pounds down in two months! And you better believe I swung through a drive-through several times. Dunkin Donut in the morning on a sleepy office day? Yep! But only one, and only if I packed my lunch that day. It is all about adjusting and knowing exactly what you consume. I have learned a great deal and I feel better about myself. Win-win! Note: I have no medical or nutrition background... these tips are my own personal opinions and observations, based on plain old science and education. If you want/need to lose a significant amount of weight, it is always a good idea to consult a physician.